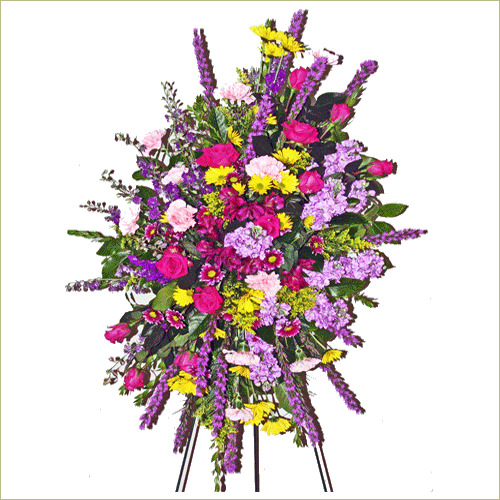 This standing spray is hand arranged and delivered by a professional florist. Deluxe spray includes 48 stems. Premium spray includes 56 stems.